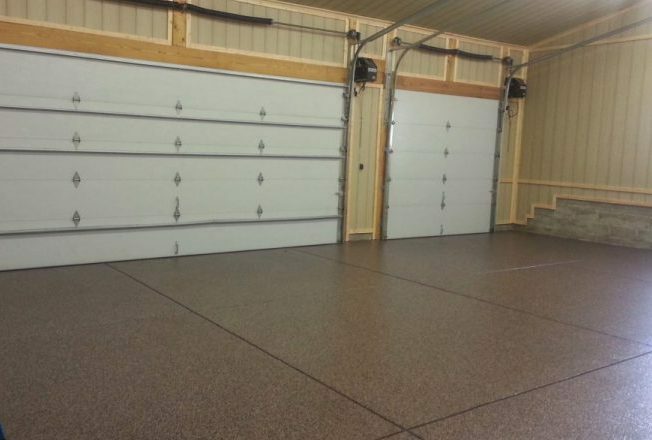 ADD THE FINISHING TOUCH TO YOUR DREAM GARAGE WITH A DURABLE EPOXY FLOOR. Highfield Door Sales offers Commercial Grade Epoxy Floors. Check out our showroom in Kettering where the floor in our showroom has been coated with several styles. Why paint it yourself with a retail floor coating just to repaint in a couple years. Our coatings are made to last a lifetime. The options are endless.